• An initial telephone conversation – the client and consultant agree on what is needed, how the consultation will progress and the price. • The consultation – either in person on site or remotely. • Follow-up – which usually consists of a written report and further support contact, either email, phone or re-visit. Look for The Feng Shui Society Accredited Consultants logo. You can be confident that all consultants registered on this site are accredited by The Feng Shui Society. 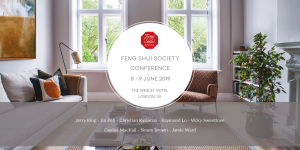 Feng Shui Society Accredited Consultants are assessed independently by the Society’s Standards and Accreditation Panel when they apply to join. The work they present must comply with the society’s minimum professional practice standard. They also hold valid professional insurance cover and adhere to a strict code of ethical practice. Some of our listed accredited consultants have trained with one of the society’s accredited schools, all of which follow or exceed the society’s teaching outline guidelines for professional training. In the unlikely event that you are unhappy with the performance of any of our accredited consultants, the society can provide mediation in the case of a dispute. The most important aspect of the consultant is your needs, so the first thing is to outline your situation and what you want and see what sort of response you get. If you are satisfied, then you might like to check through some or all of the following questions. If a consultant uses terminology that you don’t understand, feel free to ask them to explain what it means or to ask any other questions you think are important. Q: Are you currently a Feng Shui Society Accredited Consultant? The answer to this will be yes if you are contacting a feng shui consultant listed on our website. Q: How long have you been practicing feng shui? The longer they’ve been working as feng shui consultants, the higher chance that they will have more experience in this field. Q: What feng shui training have you had? 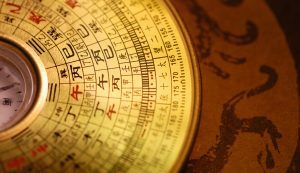 There could be a considerable variation, ranging from practitioners who have studied with several Chinese or Western teachers and other experienced feng shui educators over many years to those who have followed a structured training course by an established school in the UK. Q: Is there anything you particularly specialise in? This is your chance to discuss your particular needs, eg home, business, public spaces, gardens. Q: What is the format of your consultations? Establish what you can expect before, during and following a consultation. The Feng Shui Society recommends that all its accredited consultants provide a written report for their clients unless you specifically request them not to do so. In addition, or instead, some consultants may suggest you take your own notes or tape-record the consultation in order to involve you more in the process. Q: Do you have public liability and professional indemnity insurance? All Feng Shui Society Accredited Consultants are fully insured to practice in the UK. For consultations outside the UK, clients are recommended to check consultants’ insurance situation since different laws apply in different countries. For example, some people charge a fixed flat fee, or some charge by the hour, according to the number of rooms in the property, by floor space measurement, etc? Please note that on-site feng shui consultations are usually more expensive than remote feng shui consultations. Q: What does the fee include? Are preparation, on-site work, off-site work, materials, traveling, report and follow-up included? Are there likely to be any additional costs? Q: Do you have any testimonials or references from your clients? You can initially check the consultants’ websites for testimonials. Q: What happens if I am not happy with any aspect of the consultation? The Feng Shui Society will help mediate in the unlikely event of dissatisfaction with accredited consultants.